During the tour through the Mine, You will see underground chambers hewn out in the salt rock, statues sculpted in salt and saline lakes. 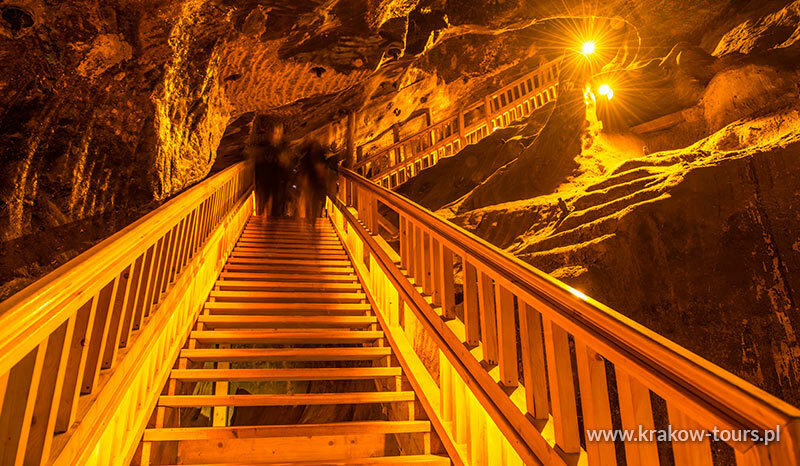 Visitors may take a walk of 2.5 km through 3 levels, down to 136 meters below ground level. This point of our tourist programme is also entered on the UNESCO List of World Heritage. 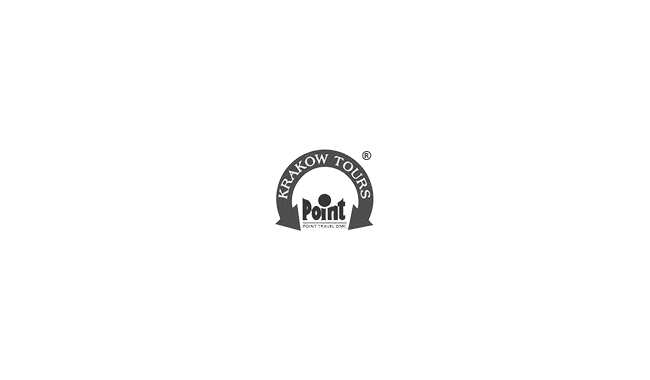 Tour is available daily in the morning, all year round. IMPORTANT: The maximum size of hand luggage cannot be larger than 29.7cm x 20cm x 20cm. Larger backpacks, bags, suitcases should be left on coaches or taken to the luggage room located in the area of the entrance to the museum. Please note, our company is not responsible for items left on the bus or at the museum so customers are advised not to leave valuables. 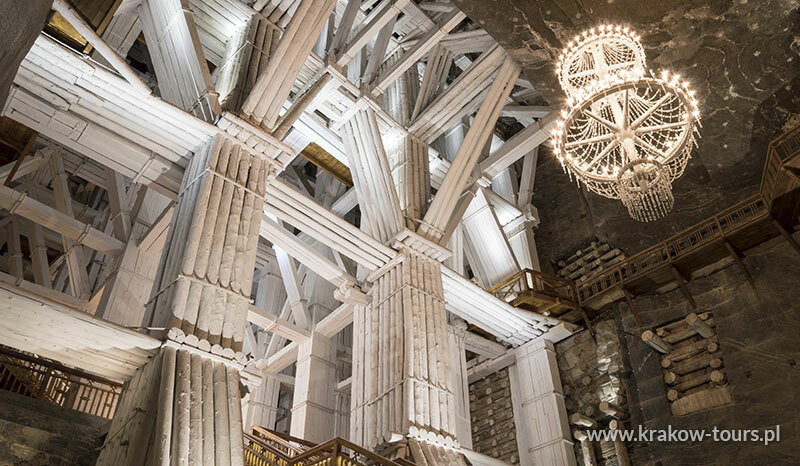 Wieliczka Salt Mine visiting includes the entry of the elevator upwards-only. In a regular group tour, there is no possibility of using the exit elevator to going down. 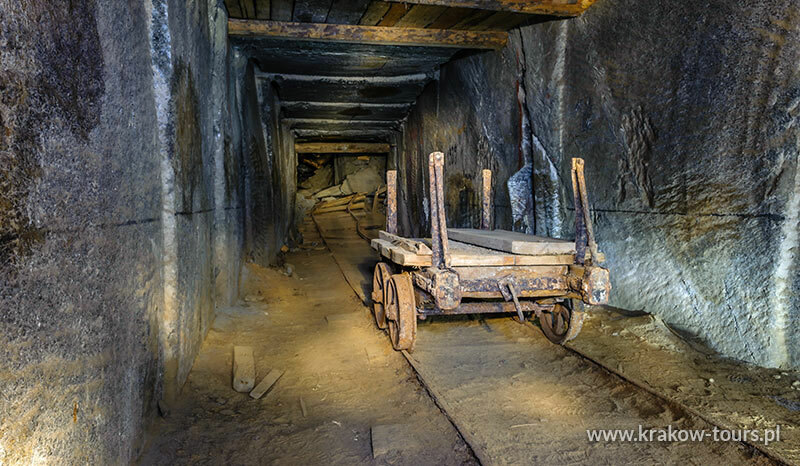 Salt Mine Tour for disabled people are only possible as a private tour. 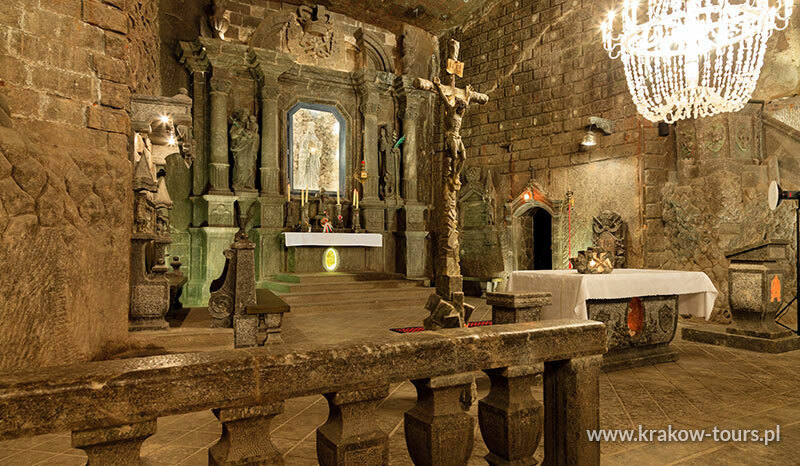 The historic Salt Mine in Wieliczka is the only mining site in the world functioning continuously since the Middle Ages. 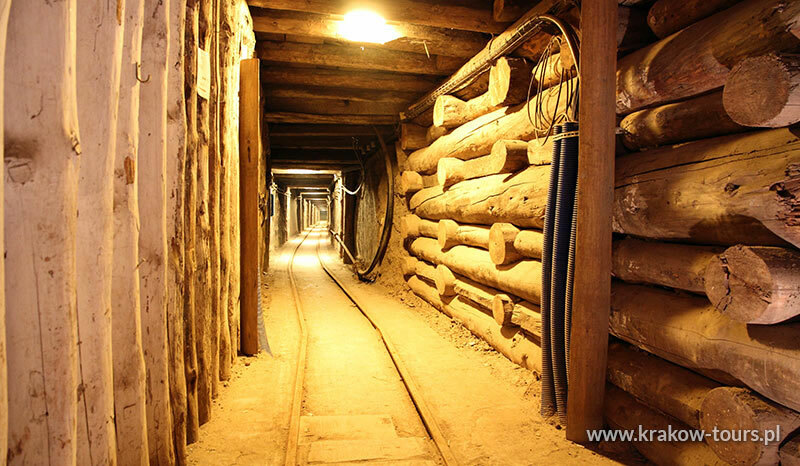 Its original excavations (longitudinals, traverses, chambers, lakes, as well as minor and major shafts) are located on nine levels and extend for the total of about 300 kilometers: reaching the depth of 327 meters they illustrate all the stages of mining technology development over time.